Chief Minister Punjab Mian Shahbaz Sharif has inaugurated first Lincoln Corner at Arfa Kareem Technology Park which is a joint venture of US Consulate and Information Technology University (ITU). Lincoln Corner which is 19th in Pakistan and first in Lahore is a sophisticated lounge with a seating capacity of over 50 people and it has been established to engage Pakistan’s youth in science, technology, arts and culture with the youth in the United States. It is established to bridge the gap between two nations and help Pakistanis understand American Culture. Lincoln corner will also train women to learn computers and allow them to work on projects for the private sector. The corner has a mini library of 500 books and also has an E-Library. While addressing the inauguration ceremony CM said that setting up Lincoln Corner at ITU is a stimulating step which will help students of both countries to develop close ties by getting familiarity with other side’s culture, activities and language. He also congratulated Donald Trump for officially taking his Presidential Oath and hoped that both nations will work for peace, harmony and for strengthening ties. There are more than 700 Lincoln Corners around the world and in Pakistan, the US consulate is now in charge of 19 such Corners in Punjab, Sindh and Balochistan. Provincial Minister, Chairman HEC, IT experts, US Consul members, senior officers and many students were also present at the ceremony. 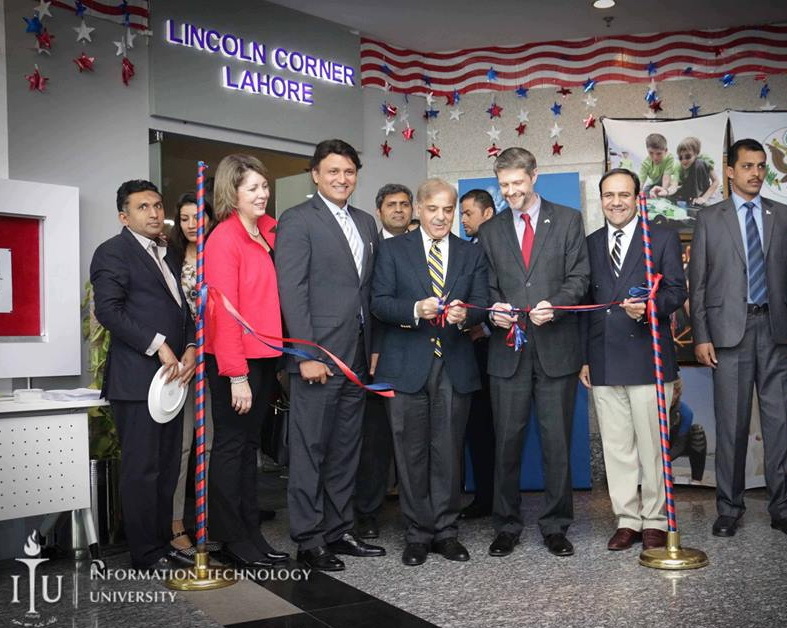 The post CM inaugurates first Lincoln Corner at Arfa Technology Park, Lahore appeared first on TechJuice.